The Courtyard House has been designed for relaxed living. 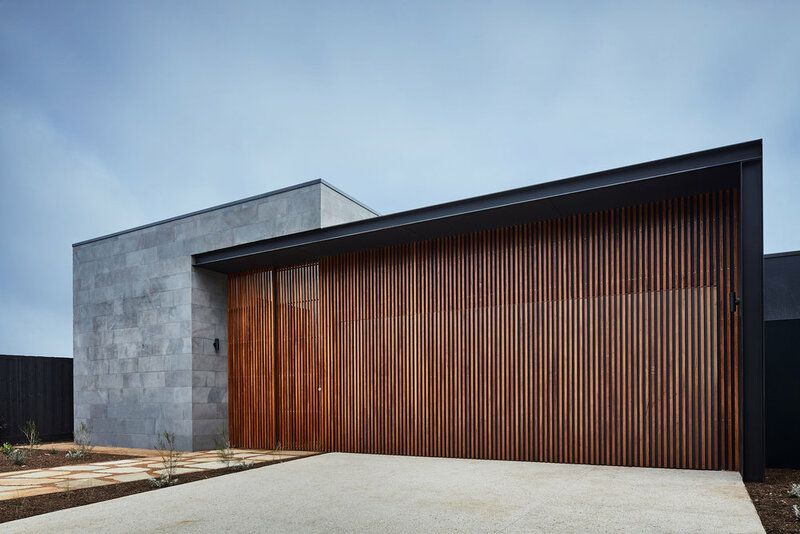 The material palette of bluestone and natural hardwood creates an elegantly understated and robust family home. 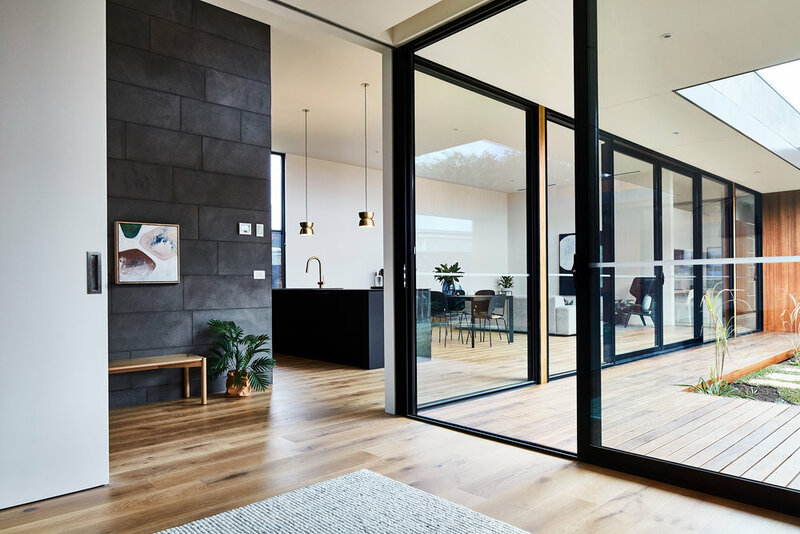 Spaces are arranged around a large central courtyard, drawing light and breezes into the house and creating a strong connection between all living zones. Lofty ceilings and generous glazing flood the living areas with natural light. The semi-enclosed courtyard acts as an outdoor room, an entertaining space onto which all internal areas flow. Importantly, it also provides a controlled and private external outlook regardless of neighbouring conditions. The Courtyard House, Scandi House and Double Court House make up the single level dwellings within the Auhaus Release. The Courtyard House Kitchen: Awarded In The Dwell Best Of Design Awards! Please check your inbox to confirm your details. The floor plan will be sent to you via email to download.